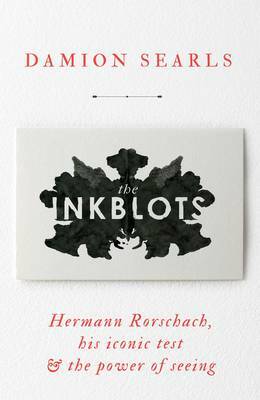 The captivating, untold story of Hermann Rorschach and his famous inkblot test, which has shaped our view of human personality and become a fixture in popular culture. In 1917, working alone in a remote Swiss asylum, psychiatrist Hermann Rorschach devised an experiment to probe the human mind. He had come to believe that who we are is less a matter of what we say, as Freud thought, than what we see. Rorschach himself was a talented illustrator, and his test, a set of ten carefully designed inkblots, quickly made its way to America, where it took on a life of its own. Co-opted by the military after Pearl Harbor, Rorschach's test was a fixture at the Nuremberg trials and in the jungles of Vietnam. It became an advertising staple, a cliche in Hollywood and journalism, and an inspiration to everyone from Andy Warhol to Jay-Z. The test was also taken by millions of defendants, job applicants, parents in custody battles and people suffering from mental illness - or simply trying to understand themselves better. And it is still used today. Damion Searls draws on untranslated letters and diaries, and a cache of previously unknown interviews with Rorschach's family, friends and colleagues, to tell the unlikely story of the test's creation, its controversial reinvention and its remarkable endurance. Elegant and original, The Inkblots shines a light on the twentieth century's most visionary synthesis of art and science.